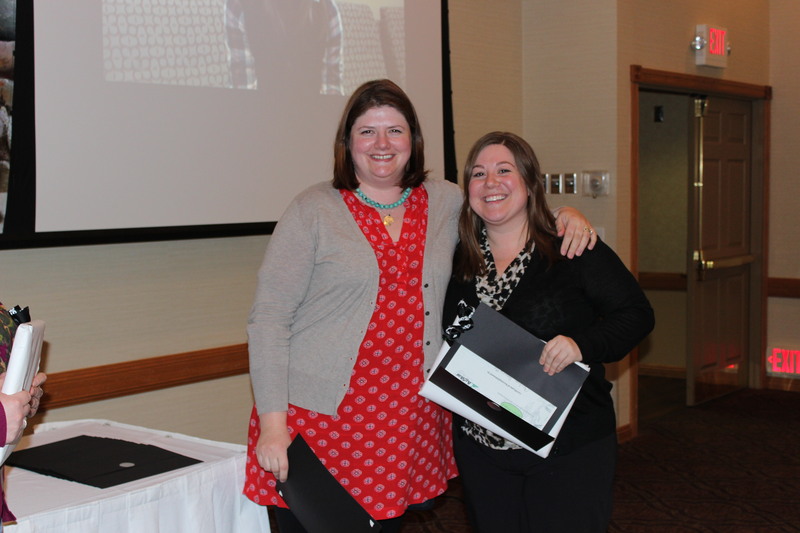 Day 27 of my “30 Days of MN Agriculture” is Amy Durand and Annie’s Project. Amy works for AgStar, who is a sponsor of Annie’s Project. Annie lives in Apple Valley, which is a suburb of the Twin City area. 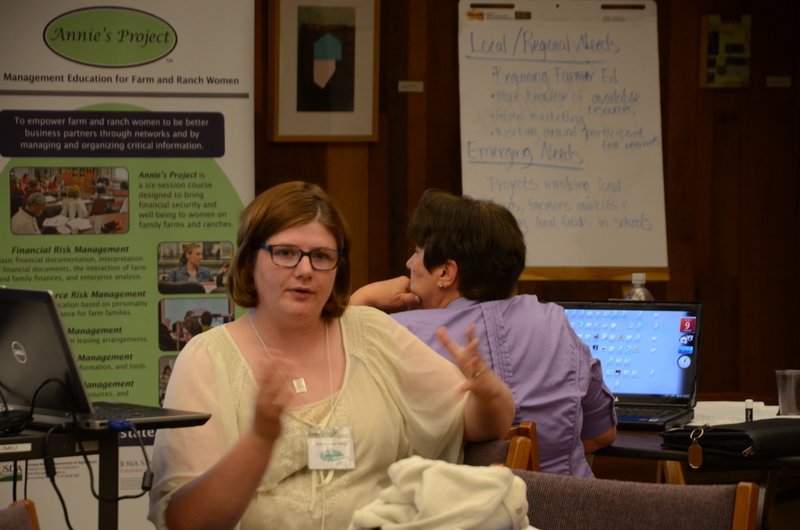 Annie’s Project is an education program that helps to empower women in agriculture to make good business decisions and also to network with other women in ag. It’s a wonderful program and I would highly advise any woman to participate. “I grew up on a family farm, which phased into a hobby farm during the 1980s. My parents both worked off the farm but continued to farm some acres and the farm was a great place to grow up and raise many, many 4-H projects and my FFA SAE. My daughter will be part of the sixth generation to grow up on the farm. After high school I attended the University of Minnesota and studied Agricultural Education. In search of adventure, my first teaching post was at W.B. Saul High School of Agricultural Sciences in urban Philadelphia. There I taught animal science, managed the horse farm, taught riding lessons and advised the nation’s largest FFA chapter. I then moved back to Minnesota and taught two years at the Academy for Science and Agriculture right outside of St. Paul. Again, in the spirit of adventure, I packed up my car and moved to Las Cruces, New Mexico to do my graduate studies at New Mexico State University. While there I taught the lab section of a leadership and public speaking class. It was really interesting to see and study agriculture in other parts of the country. Across the street from my house was a chili pepper field and there was a pecan tree grove down the street. “The work I do at AgStar is all about education. I work with farmers and our internal experts to design educational offerings to meet the needs of farmers in rural Minnesota. Most of the workshops and events we build from the ground up, others like Annie’s Project that are part of a larger national organization. I focus my work on developing new educational offerings, but the educational program includes webinars, white papers, blogs, etc. I do want to focus on Annie’s Project, as I think it would be of interest to the readers of this blog. 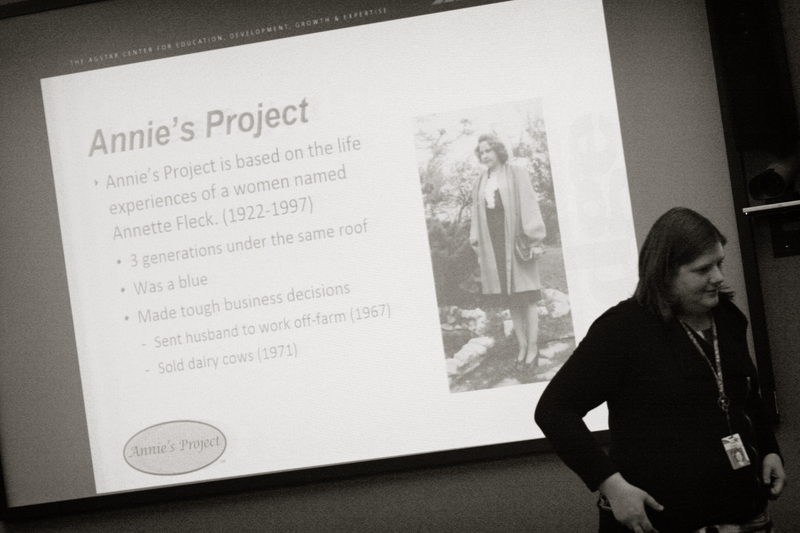 Annie’s Project is a national organization, its mission is to empower women in agriculture. 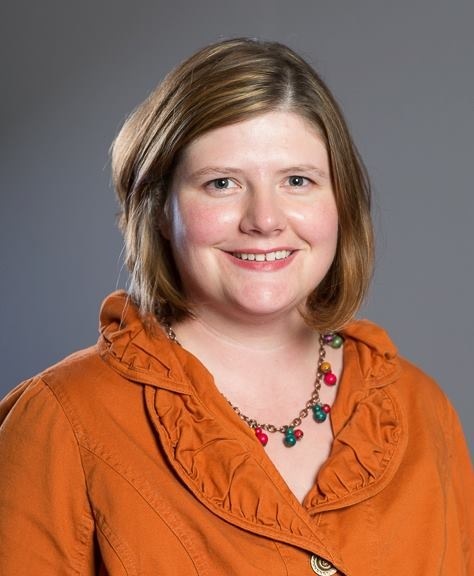 It focuses on building the risk management knowledge and skill level in rural America and to connect women together through learning and networking. How it works? Women meet one night a week for six weeks, each night there is one or two speakers that come in to talk about risk management. Half of the time is spent hearing a presentation and the other half is in discussion or a hands on activity. It’s very interactive and fun. My favorite part of it watching women that didn’t know each other the first week, learn and get to know each other better. 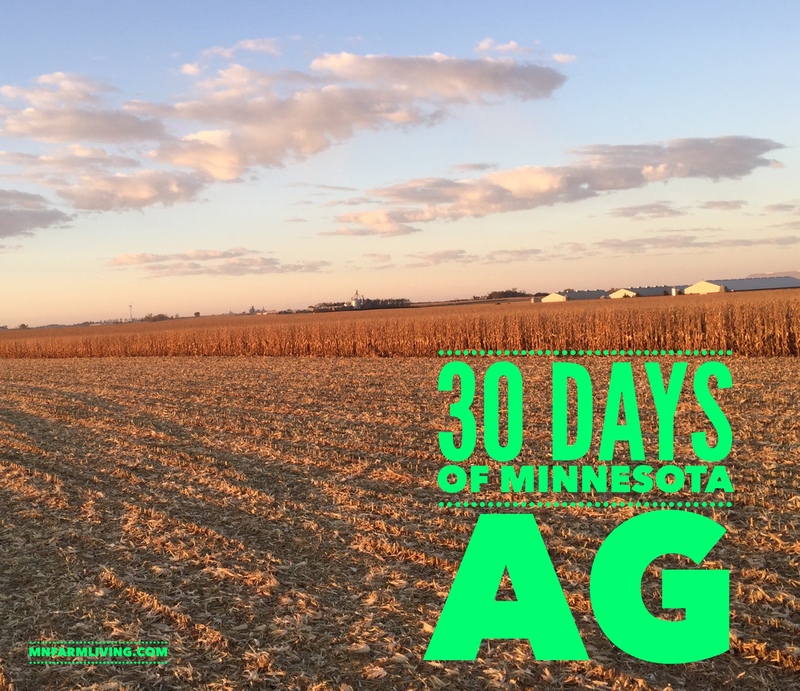 “The AgStar territory covers sixty-nine counties in Minnesota and Wisconsin, but my products are designed for anyone that has an interest in farming. For Annie’s Project, I have a spreadsheet and when someone contacts me and says they are interested in Annie’s I put there name on a sheet, then I have a state map at my desk and I put a little dot near their town. We offer Annie’s in the winter and in the summer. So when it looks like we have enough interest in an area, we pull together a steering committee and start planning. If you have interest in Annie’s let me know! The first year we offered Annie’s in Mankato and Rochester. In 2016 we will offer Annie’s in Saint Cloud, Mankato, Rochester and Worthington. We are also offering Annie’s Project as a retreat in February 2016. We know committing a night a week, for six weeks can be a lot to commit to. So during this retreat you will get the same amount of content, small group interaction and networking in the span of one weekend. Is close to the women in Northern Minnesota where we don’t offer a lot of programming. “Oh. I love this question. the drive from Lanesboro to Rushford headed east on 16, breathtaking.